Three-phase electric power is a kind of poly-phase system and it is a method of AC electric power generation, transmission, and distribution. 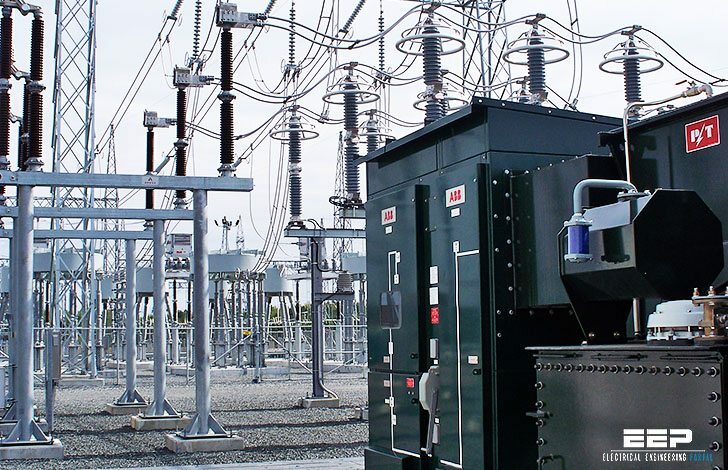 It is the most popular and the most commonly used method by electric power grids worldwide to transfer power. It is also used to power heavy loads and large motors. A three-phase system is normally more economical than an equivalent single-phase system or two-phase system at the same voltage level, since it uses less conductor material to transmit electrical power. The three-phase system was independently invented by Galileo Ferraris, Mikhail Dolivo-Dobrovolsky and Nikola Tesla in the late 1880s. In a three-phase system various types of short circuit can occur, which may be categorized as shunt faults and series faults. Phase-to-phase-to-earth: This can be a result of a tree falling on two of the power lines, or other causes. See Figure 2-2 (a). Three-phase (only 5% of initial faults): It is the least occurring fault, this type of fault can only occur by a contact between the three power lines in various forms. See Figure 2-2 (b). Series faults can occur along the power lines as the result of an unbalanced series impedance condition of the lines in the case of one or two broken lines for example.